When installing or repairing plumbing pipes or fixtures, it is necessary to apply a sealant to prevent leaks on threaded connections. A common simple-to-use product, Teflon tape, is wrapped around pipe ends before attaching a fitting to create a sealed connection. At times, however, Teflon tape may not be the best solution for your situation. 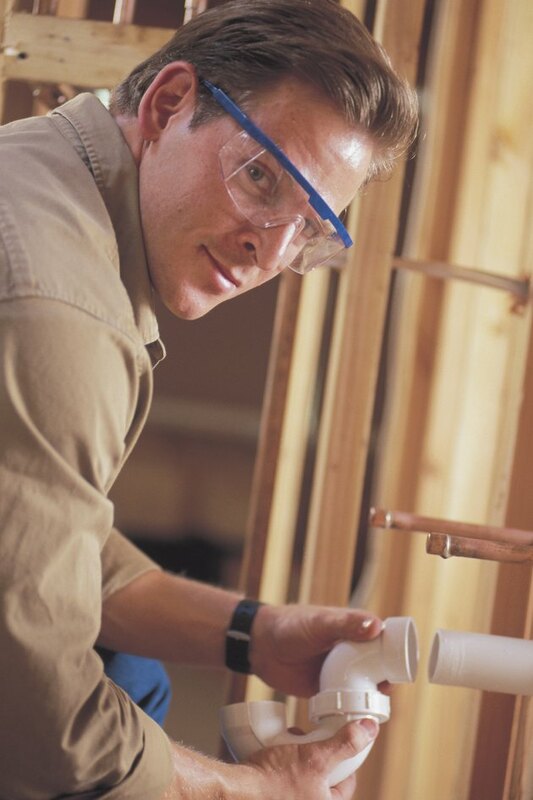 A thread sealant is required for a good connection between pipes and fittings. Teflon tape has become one of the most common thread sealants on the market today. Consumers simply wrap the tape around the threads of a pipe twice, cut it from the roll and attach the fitting. For many applications this is adequate, but in some cases the threads of a pipe are damaged and a good seal cannot be made. The distance between the threads on the pipe and those on the fitting may be too great in an area and allow water to seep through. In other situations, there may be no space to wrap the tape around the connection. Pipe joint compound, also known as pipe dope, is a liquid compound used to seal threads similar to Teflon tape. The cap of the container has an attached swab brush used to brush a layer of the compound on the threads of the pipe before attaching a fitting. Pipe joint compound does not harden, therefore the connection remains sealed but easy to remove when needed. The liquid fills in gaps of the connection. It is able to seal a larger gap than Teflon tape and requires little space for application. Teflon valve packing was originally designed for use as a gasket or bushing, used in place of an O-ring in many situations. Valve packing can be used for connections that have very large gaps or connections that have a ridge that can be sealed with an O-ring. While this is not a replacement for Teflon tape on threads, the connection can still be sealed with valve packing in some cases. Thread sealant with PTFE has an amount of Teflon for lubricant but creates a seal on threads similar to pipe joint compound. The compound maintains its seal and integrity even when exposed to high and low temperatures, pressure and many chemicals. The overall effect of the thread sealant with PTFE is similar to using Teflon tape with a coat of pipe joint compound on top, creating a good seal that is simple to apply. Marie Clay began writing professionally for an advertising firm in 2004. She holds a Bachelor of Science in mass communication from Illinois State University, where she was named Outstanding Honors Student for her graduating class and holds a third-degree black belt in Taekwondo with the World Taekwondo Federation. Her specialties include interactive media, art, computer software and programming, and parenting. What Is a Half Coupling for Pipe? What Is the Difference Between a Plumber's Dope & a Plumber's Putty? What Is an MIP Fitting?